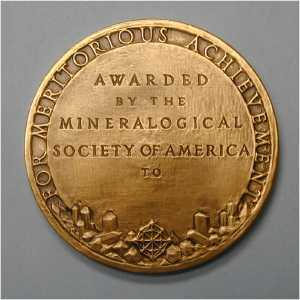 The Roebling Medal is the highest award of the Mineralogical Society of America (MSA) for scientific eminence as represented primarily by scientific publication of outstanding original research in mineralogy. The science of mineralogy is defined broadly for purposes of the Roebling Medal, and a candidate need not qualify as a mineralogist; rather his or her published research should be related to the mineralogical sciences and should make some outstanding contribution to them. Service to mineralogy, teaching, and administrative accomplishment are not to be considered primary merit for the award. The nomination needs to be supported by the nominee’s published work. The award is not restricted to U.S. citizens. Nationality, personality, age of candidate, or place of employment shall not be considered for the award; however, current members of MSA Council are not eligible to be considered for the award. The first ten years of the Society were reviewed at the Society's 1929 annual meeting. It was concluded that it would be very helpful if the Society had the means to establish awards to be given to outstanding investigators in America or abroad, or to the authors of contributions judged as noteworthy. The hope was that the recipient of an MSA medal or prize would be recognized as a signal honor. The MSA Council agreed that it would be eminently fitting to make provision for a medal in honor of Colonel Washington A. Roebling (1837-1926), engineer, bridge builder, mineral collector, and significant friend of the Society. A fund was established and annual additions were made to it from the treasury until the amount was sufficient to make the first award. The first award could be made in 1937. Colonel Roebling first became interested in minerals while a student at the Rensselaer Polytechnic institute, Troy, NY. It was during the period of long convalescence from the bends, developed during work on the caisson of the Brooklyn Bridge, that his interest in minerals intensified. 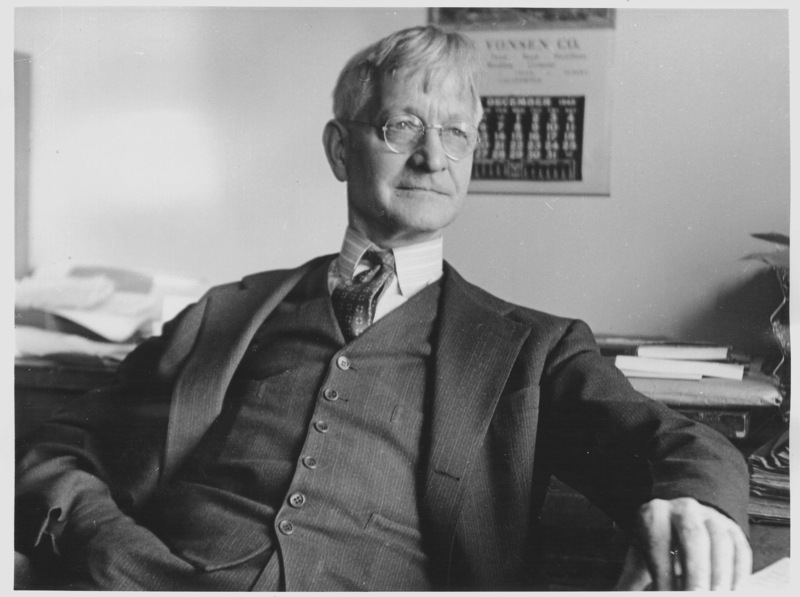 This interest continued during the remainder of his life and resulted in an unusually excellent collection numbering about 16,000 specimens. Many of the newer and rarer minerals were represented by type material. Colonel Roebling freely permitted his specimens to be used for scientific purposes, and in this way he contributed directly to the publication of many important papers. Following his death on July 21, 1926, his son, John A. Roebling, presented his collection and an endowment to maintain it to the National History Museum, Smithsonian Institution, Washington, DC. Of the firmly established 1500 known mineral species of the time, the Roebling collection lacked less than 15 of those. 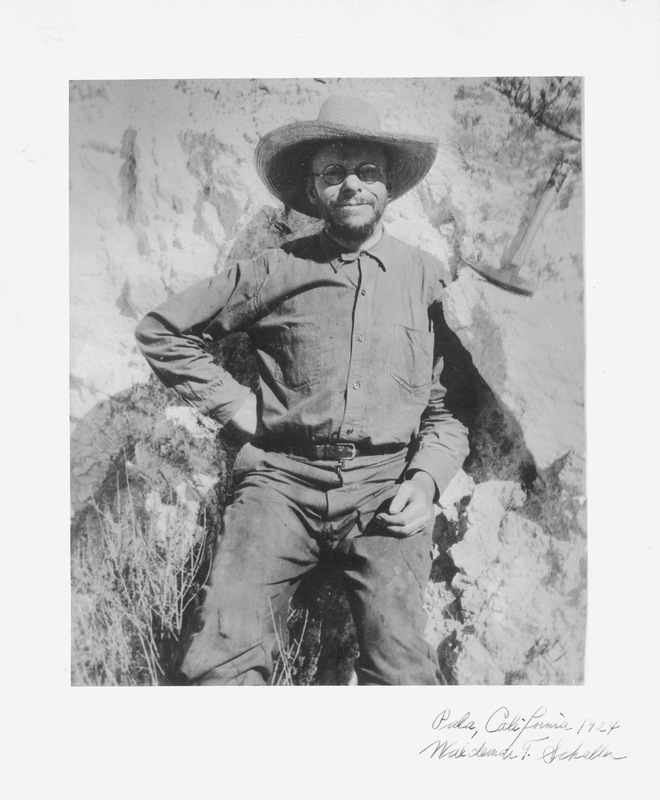 Immediately after its founding in 1919, Colonel Roebling became identified with the Mineralogical Society of America. In 1924 he served as Vice-President. He followed the development of the Society with keen interest and was much concerned that it should grow in strength and influence. To assist in attaining these goals, Colonel Roebling made a substantial gift to the Society shortly before his death. The naming of the Roebling Medal expresses MSA's great appreciation of his significant contributions to mineralogy and to the furtherance of the objectives of the Society. 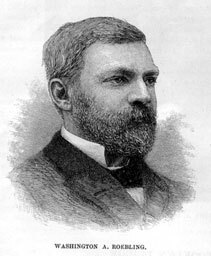 It was hoped that the award would not only keep the memory of Washington A. Roebling alive, but that the medal would come to signify the highest recognition of achievement mineralogy can bestow. Anon, 1883, The Brooklyn Bridge. Harper's New Monthly Magazine, 66, 925-946. Palache, Charles, 1938, Presentation of the first Roebling Medal of the Mineralogical Society of America to Charles Palache: B. Response. 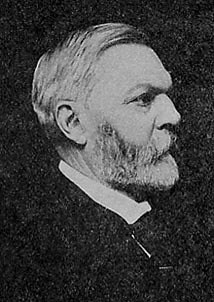 American Mineralogist, 23, 58-61. The recipient of the Roebling medal receives an engraved medal and is made a Life Fellow of the Society. 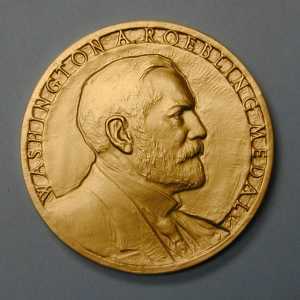 The medal was designed by Dr. Avard T. Fairbanks, then at the Institute of Fine Arts, University of Michigan, and has been struck by the Medallic Art Co. since 1937. Medallic Art Co. mints some of the best-known medals, including the Pulitzer Prize, the Peabody Awards, the Medal of Honor, and portrait and presidential inaugural medals. Complete works of Avard Fairbanks. Nominations for the award consist of a completed Nomination Checklist, a cover letter from the nominator outlining the candidate's qualifications in light of the criteria for the award, complete curriculum vitae and a bibliography of published works exclusive of abstracts, book reviews, and papers that have not yet been accepted for publication, and supporting letters from at least three (3) but no more than five (5) other individuals that are focused on how the candidate meets the criteria of the award. The Nomination Checklist is available either online as an html, text, pdf, or MicroSoft Word file that you may copy from the screen or download to complete, or by mail from the MSA Business Office, 3635 Concorde Pwky Ste 500, Chantilly, VA 20151-1110, USA, voice: +1 (703) 652-9950, fax: +1 (703) 652-9951, e-mail: business@minsocam.org. The completed nomination package must be sent to the Committee Chair and received by June 1 for consideration by the Committee for the following year's award. The committee asks that the nominator compile into a single electronic file the nomination, vitae, all letters of support, and supplementary materials before submitting the nomination to the Committee Chair. This single electronic nomination package makes it easier and less expensive for the committee members, who are increasingly international, to do their work. Nominations can be carried over to following years if the nomination package is updated by the nominator. Any nomination not renewed after 2 years will be not considered further. The nomination for an individual serving on MSA Council cannot be considered until after his or her term.